Seven-a-side rugby, our sport’s code that will be inaugurated at the XXXI Olympiad in Brasil next year - 2016, both US men’s and women’s teams have qualified - can be viewed or otherwise enjoyed on Wednesday evenings at Cranmer Park (also called “Sundial Park” for the large, time-telling device, prominent at the park’s centerpoint). 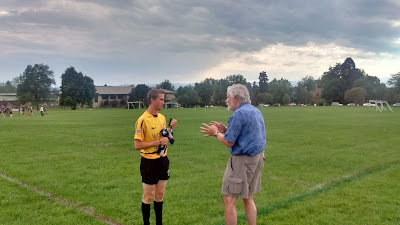 The weekly 7s league, originated by Dr. Bill Gregg away back in the day, features the fast form of our game in a brace of divisions: men’s and high school emergent men’s, though the easy-going and receptive organizers, Denver Harlequins for the adults and Rugby Colorado Executive Director Hugh Miller for the secondary schools, can accommodate all comers. 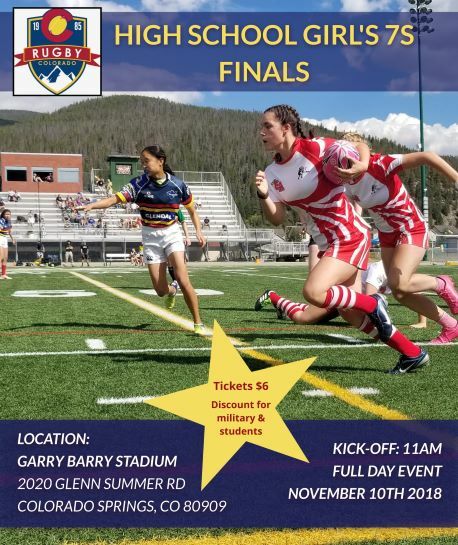 Of this season’s play, Miller reports: “We nicknamed it Lightning 7s due to all the lovely weather we had early on…”, though the inclemency of that expressed climate has not prevented the likes of: Denver East High Angels, Regis Jesuit, Rocky Mountain Rebels (a select 7s side), Titans, PAC RFC, Northside Dragons, & Wheatridge Warriors from attending their rugby on the day. So if you’re looking for rugby as swift and seemly as you’d ever hope to see… Cranmer on the Wednesday is just your ticket!